Here's an example of why it's important to be present in the actual environments where users use your product. Above is a receipt from an order at a quick-serve restaurant. 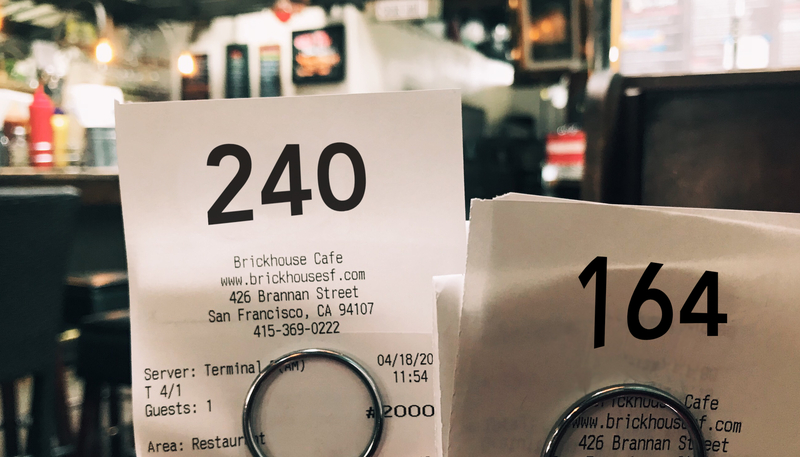 The receipt is placed on a stand with an order number written large to help the server locate the person who placed the order. ... we can save service workers a set of repetitive and slow actions they would normally be performing tens or hundreds of times a day. The mental and time savings will add up eventually. And it'll be a nicer experience for the restaurant customers, too. Perhaps something like this. Of course, it is possible that a user may be able to recount this kind of detail verbally when they are far away from their use environment - but it is difficult (for instance, how well can you describe how you cook a given dish without actually being in the kitchen?). It is far easier to just show up there and document it oneself. Designers and product managers: go visit your users. It pays off.